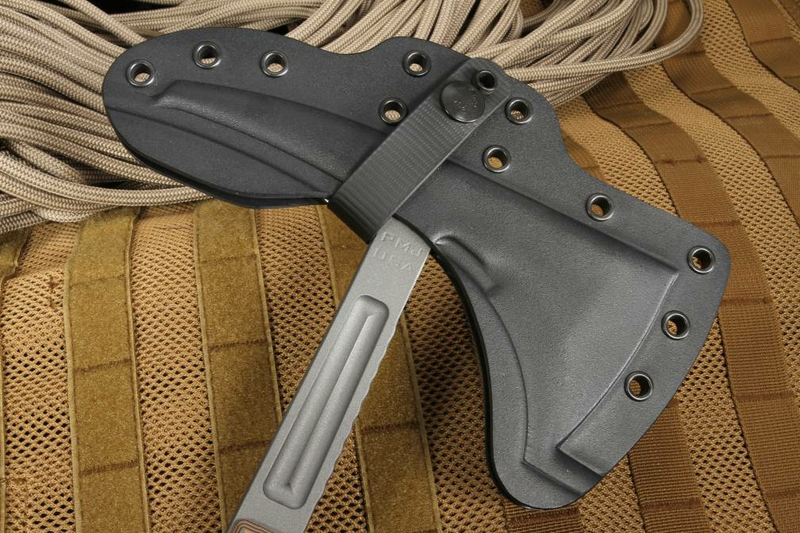 RMJ tactical has been making tactical tomahawks for special forces units throughout the world since the early 2000s. 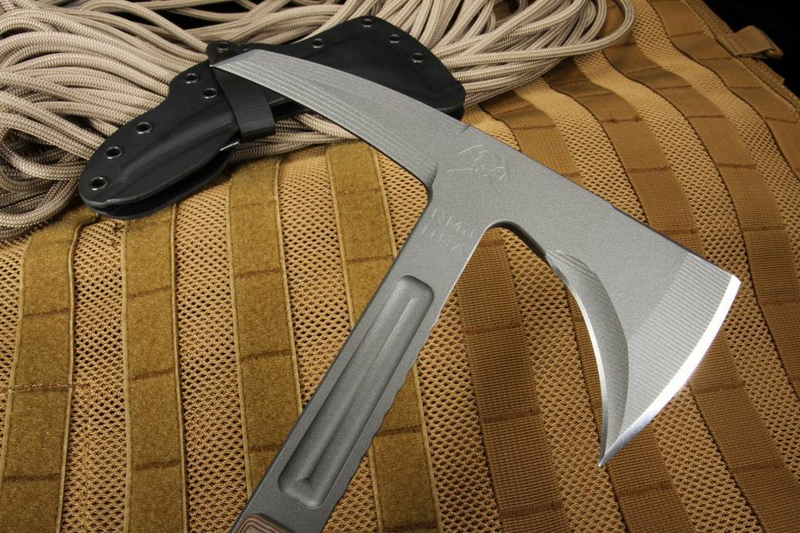 Among the most well-known of their line is the Eagle Talon tomahawk, which was the first of its kind and has probably earned the most respect of tactical tomahawks everywhere. The RMJ Kestrel Feather (KF) is the newest incarnation of the Eagle Talon, build with a compact combat aspect in mind. Built to be shorter and lighter than the Eagle Talon, the KF comes in at 19oz, and 13" long, the I-Beam, full tang construction from 1/4" milled 80CRV2 stainless steel stock with a Rockwell hardness of 30 on the tang and neck, with 54 on the striking surfaces of the head. This means that in heavy use, the tool steel handle absorbs the punishment while the hardened striking surfaces on the head delivers it back without chipping or shattering. The forward edge is 3" of razor sharp cutting surface with the 3" spike being capable of shattering tempered glass, penetrating sheet metal, or hacking through concrete and wood. 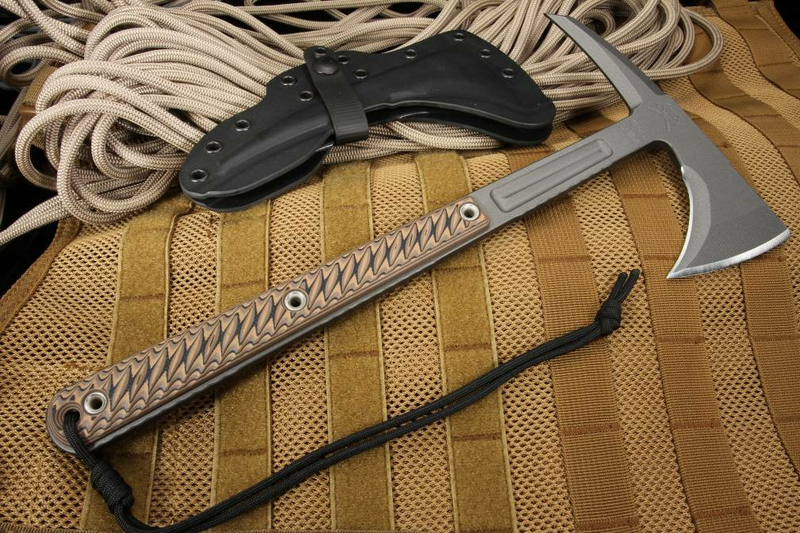 Created with special forces operations in mind, the Kestrel tomahawk is just as capable as a first responder tool, especially considering its more compact size won't impede movement yet can make quick work of anything from car windows and sheet metal to chain link or hardened padlocks. The full-tang G-10 3D machined handles come in a variety of colors: Black, Hyena Brown, and Dirty Olive. Whether wet or dry conditions, these handles provide a sure grip in any condition or climate, while absorbing the impact of striking during repeated use. 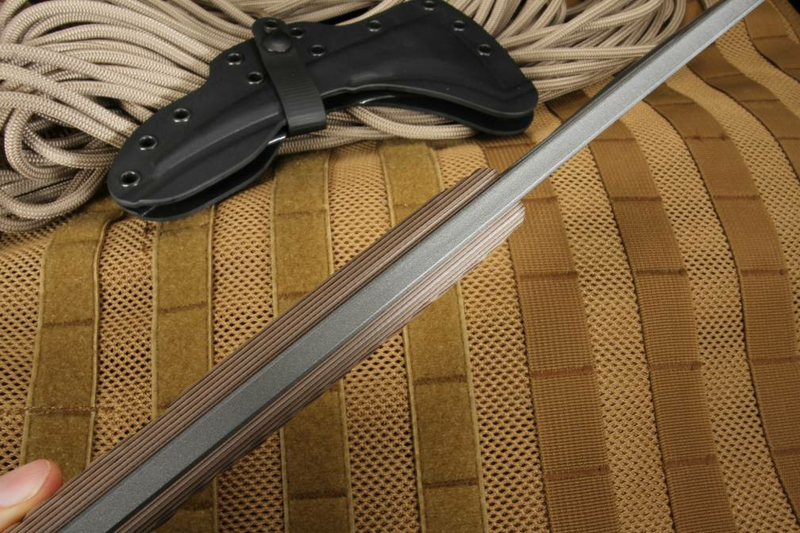 The bottom-eject Kydex scabbard allows for quick and reliable deployment when seconds count. 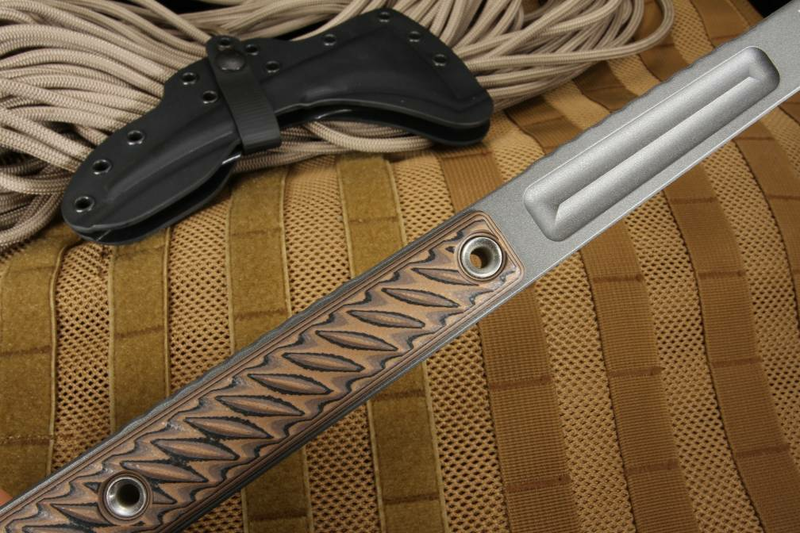 As an authorized dealer of RMJ Tactical Blades, KnifeArt.com is so sure you will be satisfied with your purchase that it won't charge for shipping or restocking fees. RMJ is made by former special forces veterans in the USA and stands by their product with a 100% lifetime guarantee against structural failure (excluding normal wear and tear.) This guarantee is for the lifetime of the product, not the purchaser.